tackle slot. Apopka will field a team consisting of twelve returnees from last year's squad. who threw the T.D. pass to Albert Hall to win their opener over Sanford 7-6. 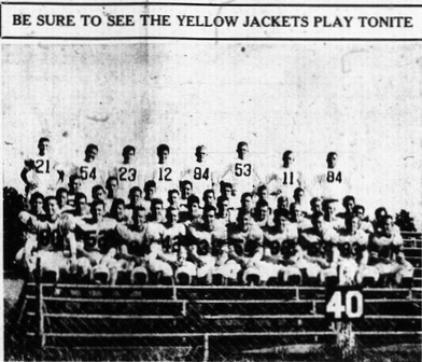 The Yellow Jackets are the defending champions so a large crowd is anticipated for the first game. Tickets are $1.00 for adults, 50c for High School Students, and 10c for elementary school children.